Another great baby shower idea is this lovely security blanket from Pinat Eden. It is luxuriously soft and trimmed in matching silk comes in blue, pink and purple, sized 25x25cm and is just the right gift for a new baby. Keeping your baby warm and secure has never been easier than with this ultra soft security blanket from Pinat Eden. 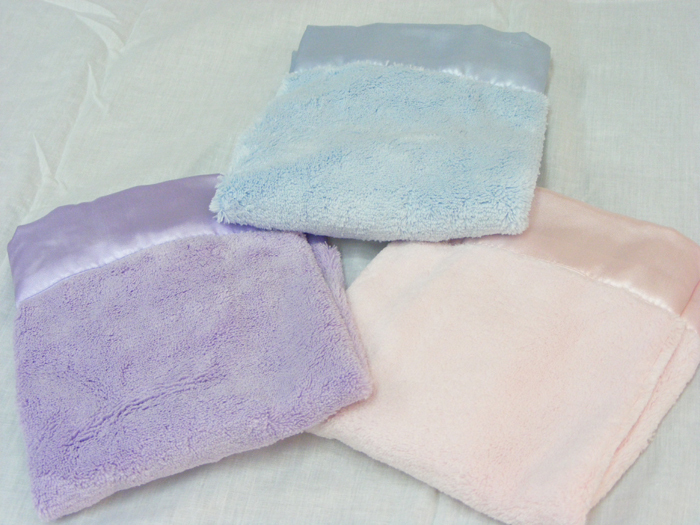 These blankets are perfect for a new baby as they are made with thick plush and are trimmed with matching silk.